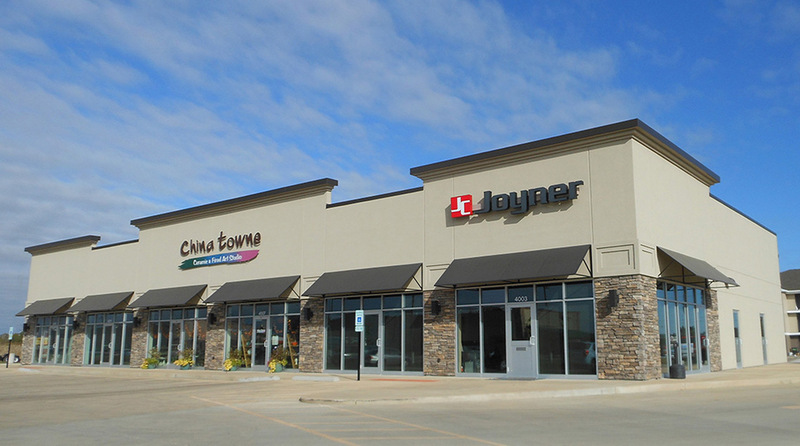 We provided architectural services for these new retail centers, along with some of the interior tenant spaces. Cobblestone Place I includes Cocoa Blue Chocolates (1,175 sf. high-end chocolate shop) and 2,256 sf. of office space for Joyner Construction Services. We also provided services for 1,088 sf. of office space for Allied Capital Title, as well as a 2,716 sf. art studio for China Towne. Cobblestone Place II includes Smoothie King (1,400 sf. blended drink shop), Kennedy Sue Gift & Home (1,322 sf. boutique), and Anytime Fitness (4,500 sf. fitness center).